This is just an announcement post! If you could share this information and flyer i would GREATLY appreciate it!! Thank you!! 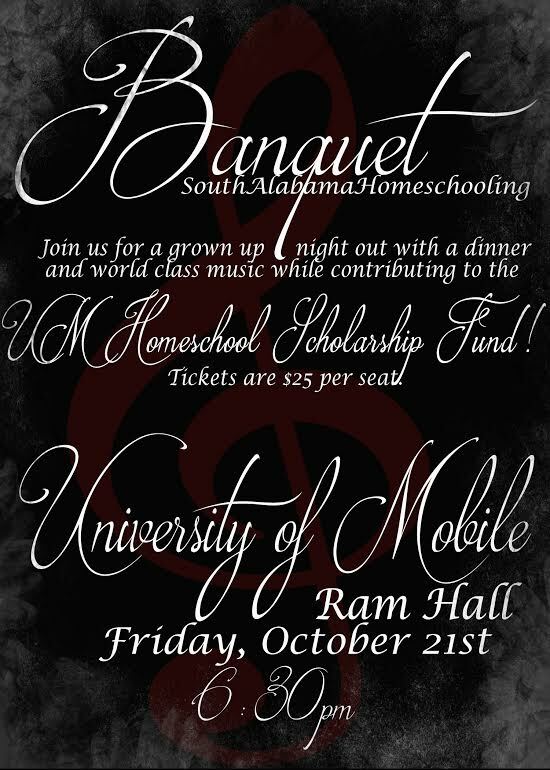 This will be a grown up only night out, a catered dinner and a performance from one of the University's premier music groups, the ticket price of which will contribute to the UM Homeschool Scholarship Fund! The tickets are $25 per seat. Please paypal me at etw501@yahoo.com. Please include the name you wish to be listed under, and pay via family/friend. We hope you will come and invite grandparents, family, and friends to come join us for the evening.